Small sterling silver earring studs with radiation sign on it, the silver is solid 925. 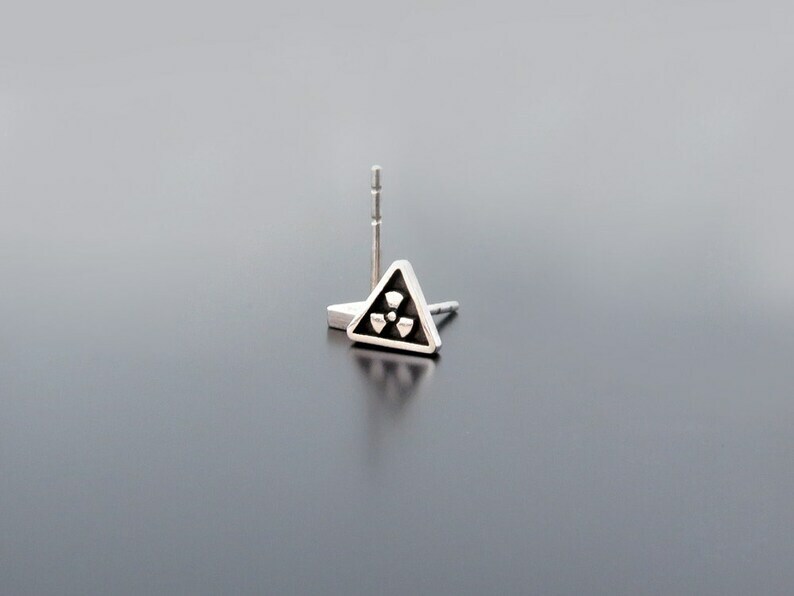 💝 This listing is for pair of triangle studs with radiation warning symbol. Special and stylish earrings for stylish people who love plain jewelry with sense of humour. Very well made, and good communication from seller advising of realistic timeline for international freight. Will definitely be a repeat customer. Beautiful earrings! Thanks a lot!